Today's not just Monday. It is Mentor Monday, and I promised you yesterday that I would be sharing another book that works well as a mentor text. 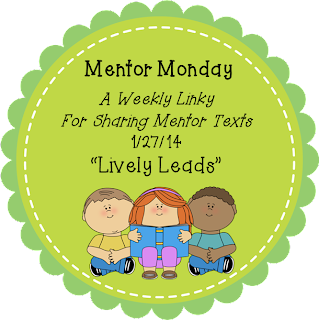 The focus of today's post is on books with lively leads, and if you're interested in other great ideas, click the Mentor Monday button above to visit Emily over at The Reading Tutor/OG for more ideas. So just what is a lively lead anyway? With my students, I use the word "hook". At the beginning of the year, I introduce them to the types of hooks that work well and with each writing piece we create, we look together at the hook first. That part of their writing probably receives the most attention for revisions, and it probably should as a hook can be a deciding factor on whether a book is read in entirety or cast aside for another. I enjoy showcasing great books with hooks I want my students to imitate in their own writing. I use [this powerpoint] to introduce and discuss hook types, and in cooperative group, the students enjoy creating hook ideas for various prompts I give them. Here's a foldable I have used for the lesson. 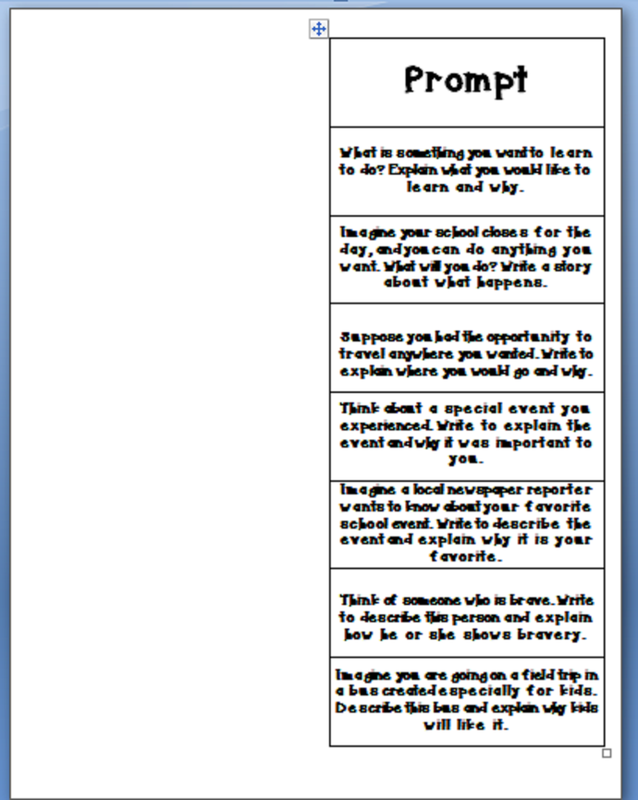 You can cut the prompts apart and use chart paper for group brainstorming or make this into a foldable by cutting between the prompts and having student write their introductory paragraphs in the space to share. One book I came across this summer for writing is the book, Rocket Writes a Story. In this story, Rocket looks for words and puts all the words on his word tree. They are all jumbled up and he can't come up with an idea about what to write. He stares for a long time at the blank page. (Sound familiar??) He and the bird have conversations about the types of topics that work well for a story. He went through the next day looking for topics and eventually settled on writing about his friend, Owl. I think this is a great read aloud for writing in general as I think many students struggle with getting their ideas together, but as I said, I picked this one because of the lead, so let me share it with you. Rocket loved books. He loved to read them to himself or sit quietly by his teacher, the little yellow bird, as she read them aloud. Rocket even liked the way books smelled. 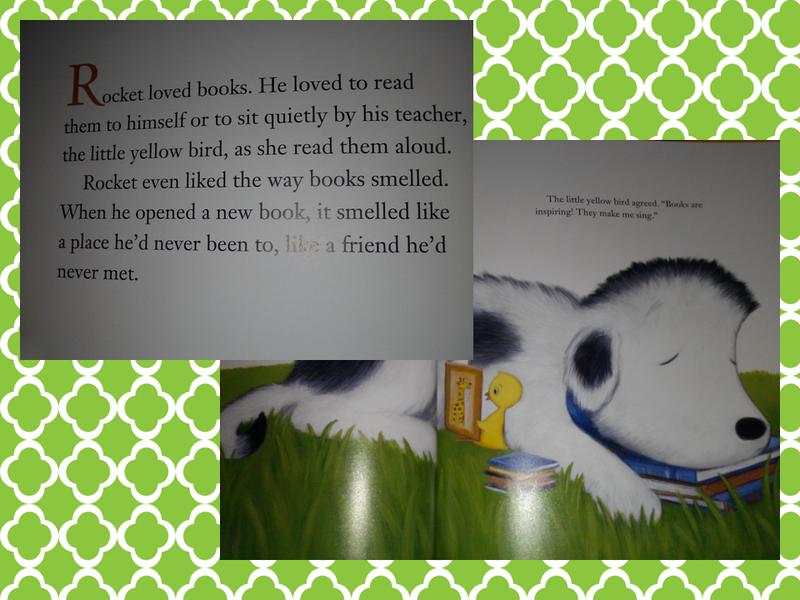 When he opened a new book, it smelled like a place he'd never been to, like a friend he'd never met. The little yellow bird agreed, "Books are inspiring! (great word choice!) They make me sing." I will close by sharing one other thing I just loved about this book, and that is the word tree. As we try to build vocabulary for our children, I thought this book offers another clever classroom idea. How about helping children find words as Rocket goes looking for words? You could have them hang their words on a tree for use in their classroom writing project for your next writing prompt. Thanks for visiting today. I hope Rocket Writes a Story finds it's way into your classroom soon. Until next time, happy reading! What a great book! I love Rocket. Thanks for sharing your fabulous strategies! Thanks for the opportunity to link up. Heading to The Reading Tutor/OG right now. I have heard of Rocket, but haven't read it yet. I think I am needing to do this! I so agree with you that teaching students how to write a good lead is so important to their writing! Lori-I have a really great handout that I found online, but I don't know the source. I'll email you a copy. I think you'll find it really helpful. I know I have.